Corn flour or cornstarch is processed from corn kernels, and this type of flour does not contain gluten so it is very good for someone who suffers from certain disease conditions. Most cornmeal is used to make corn syrup or thicken sauce and soup. Corn flour is also good to use as a coating of nuggets to last a long time and remain crisp after being fried. In addition, the benefits of corn flour are also very much in the industrial world, such as Mixtures of baby powder, non-stick coatings for medical products that use rubber materials such as condoms and medical gloves, and bioplastics. 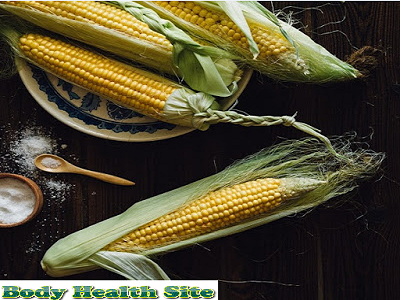 Corn flour is also very beneficial in the health sector, especially for patients with glycogen storage disease and for people who have Celiac disease. Because corn flour does not contain gluten, it is good for celiac sufferers. Celiac or autoimmune is not allowed to consume foods that contain lots of gluten, because it can damage the lining of the small intestine. Most of them do not realize because it does not cause symptoms, but actually, damage to the small intestine still occurs due to gluten. But there are also those who can feel symptoms such as diarrhea and abdominal pain. When consuming gluten in the long-term, it is very risky for celiac sufferers to experience complications such as inflammation of the intestine and small intestine cancer. As a mixture of food ingredients, gluten is indeed widely used as in bread products. The function of gluten in food is to make the dough elastic, expand, easy to form and provide a chewy texture. It's really not easy for celiac sufferers to avoid gluten foods because most of these foods use flour that has gluten. Some food products also have gluten-free labels. Usually, these foods are made from gluten-free corn flour. Other foods that are good for gluten-free celiac sufferers such as meat, fish, eggs, rice, poultry, vegetables, fruit, and most dairy products can be your choice. Besides gluten-free corn flour, there are several other types of flour that are gluten-free. Such as potato flour, rice flour, and peanut flour which can be an alternative substitute for wheat flour which contains a lot of gluten. For those of you with celiac sufferers, you should avoid some of the following foods because they usually contain gluten. Like cereals, bread, salad sauce, chili sauce, french fries, potato chips, candies, and sweet cakes. There are several vitamins or drugs that contain gluten as additives, you should consult a doctor if you want to consume certain types of drugs. Hopefully this time the Body Health Site review is useful for you. 0 Response to "DIET WITH GLUTEN-FREE CORN FLOUR"